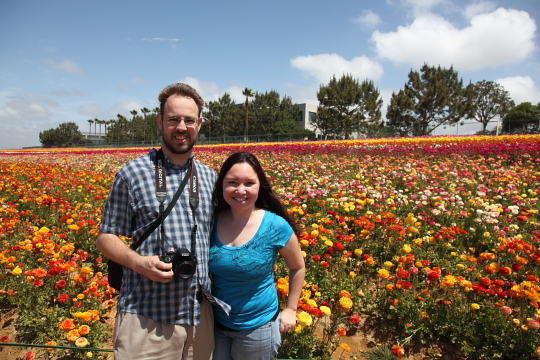 Last Saturday Bryan and I visited the Flower Fields in Carlsbad for the first time. This is a surprisingly popular place, we got there about 2 hours after it opened and the main parking lot was full and the extra lot was filling up fast. 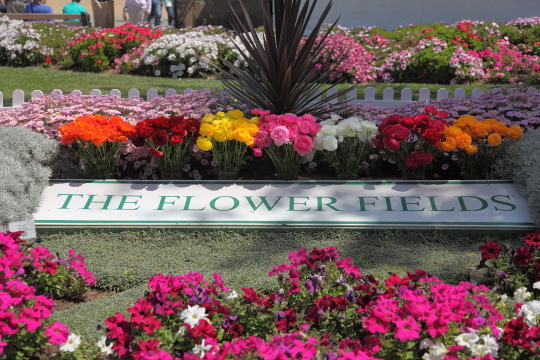 When you go through the entrance the sheer amount of flowers is amazing. 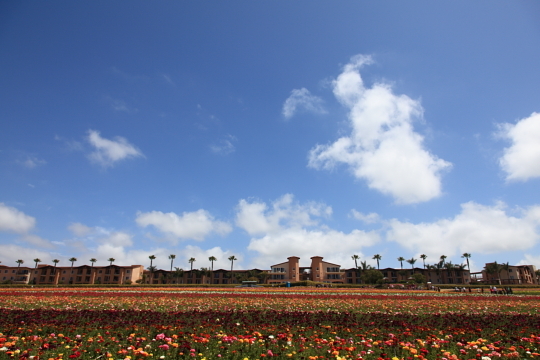 We luckily planned our trip when everything was in full bloom. 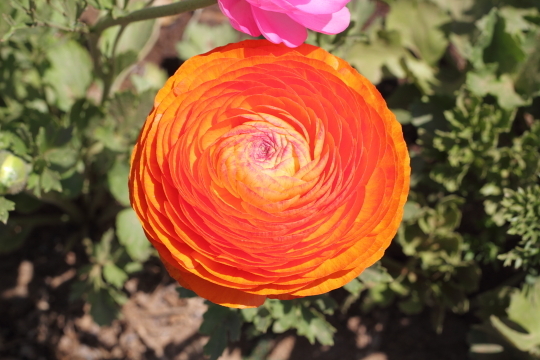 All the flowers are beautiful but what this place is known for is the abundance of Ranunculus that are at the forefront of the field. This is the perfect place to do Macro Photography, in fact they even have a class in April dedicated to just that. Unfortunately I don’t own a macro lens yet but the lenses we used did pretty well. I brought my Gorilla Pod along so I could take a self portrait of the two of us but that didn’t really work out to well. I generally hate asking people to take our picture for us but I noticed another young couple walking ahead of us with a DSLR similar to ours. 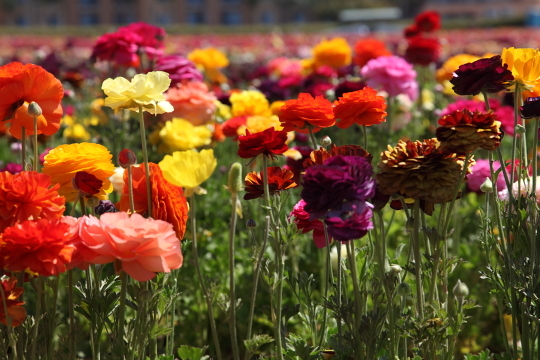 After stalking them for awhile, noticing the guy was taking photos of his lady in front of the flowers, I made my move. I offered to take their photo if they would take mine. It is very important to find someone who owns a high end DSLR since they probably know how to take a proper photo. 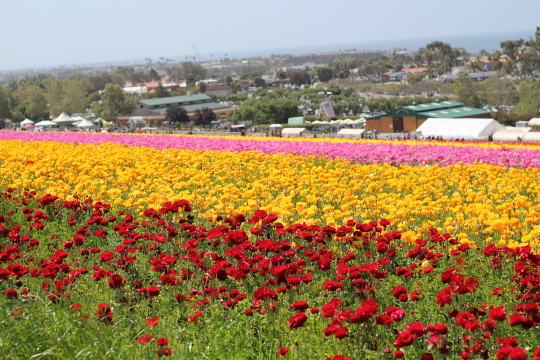 Besides lots of photo opportunities the Flower Fields have a lot to offer; wagon rides, food, a sweet pea maze and lots of plants for sale. After we left the fields we went around the corner to the Karl Strauss Brewery which was worth the trip in of itself, especially if you get their bread pudding. If you plan on visiting this year make sure you go before May 15th which is when they close, you won’t regret it. 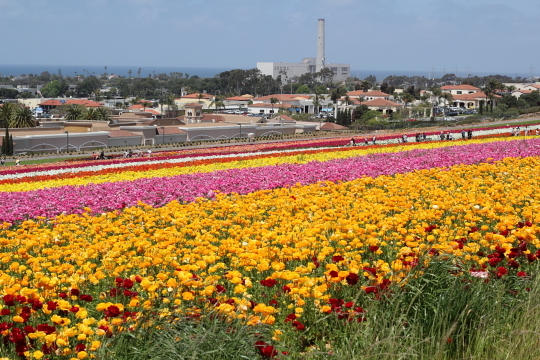 To see more photos from our trip to the Flower Fields check out the GALLERY.